The College of Engineering and Mathematical Sciences (CEMS) is comprised of the students and faculty within our halls, as well as the alumni and friends from outside our walls. Our faculty conduct leading-edge research while teaching our students to excel long after they pass their final exams. Our alumni and friends play important roles as mentors, board members and donors. Each plays an important role in the success of the College. Andy was an M.S. and Ph.D. student at UVM, studying mathematics and working closely with the Complex Systems Center. He currently works with the Data Science team at MassMutual. I wasn't sure when I started school what one could do with a mathematics degree, though I eventually learned the possibilities were nearly endless. I graduated a semester early with just the math degree so I could skip up to Vermont. I came to study applied mathematics, taking many fantastic courses along the way through the Master’s and Ph.D. programs, and eventually began to see and study the world through the lens of Complex Systems. After graduation, I rushed to Amherst, Massachusetts, to join the burgeoning Data Science team at MassMutual, joining UVM alum Adam Fox. We employ data along with statistical models to drive decision making in the insurance industry, and it's been very exciting to be part of the team driving these changes in insurance. Just last week, we released the MyLifeScore360 tool that allows anyone to understand how risk assessments are made from answering a few questions about themselves. I was very fortunate, having the mentorship of Professors Peter Dodds and Chris Danforth, as well as their leadership as part of the Computational Story Lab. We have been able to continue our partnership through the collaboration between MassMutual, where I now work, and the Complex Systems Center. As anyone who has been through graduate school will tell you, it's all about the people you get to work with. UVM is home to world-class researchers, who, importantly, are also nice people, and that combination is hard to beat! Ryan was a Ph.D. student and formed his own business - Benchmark Space Systems - after graduation. He and Darren Hitt continue to collaborate and McDevitt is also involved in co-mentoring of some grad students and SEED teams. Today, Benchmark Space Systems is working with customers from around the world to develop propulsion systems for their upcoming launches. Our first products are scheduled to ship in late spring 2018, for launch in the fall. I continue to support the UVM engineering program by serving as an industrial mentor for the Senior Experience in Engineering Design (SEED) program. While I do this outreach to try to contribute back to UVM the support I received as a student, it’s a relationship that has paid dividends for me and my company. In the 2016-2017 academic year, I co-mentored a team of engineering students and was impressed by their effort and ability. 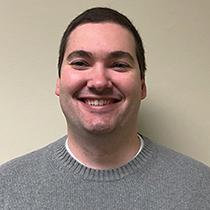 When a position opened up at my company for a mechanical engineering position, I was happy to be able to offer that position to one of the students, Matt Walton. As a UVM alumnus, I knew that Matt had the engineering fundamentals necessary for the position, and my time spent working with him as a mentor gave me confidence that he had the right attitude for my team. My time at UVM has changed the entire trajectory of my life. The support I received as a student and an alumnus has helped to make something I could have only dreamed of in the Fall of 2009 a reality. I would think big. 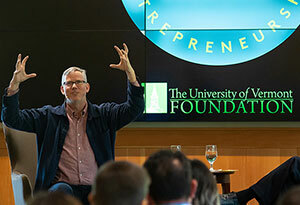 A lot of entrepreneurs coming out of UVM don't think big enough. One of the things that we were inspired by is we wanted to build a California-style company in Boston. We wanted to build something like an Apple or a Google or an Amazon, something big and ambitious. From the beginning, we were ambitious about our vision, about who we hired, ambitious about how much money we raised and how much dilution we could take. We swung hard. I would encourage that. If you're going to do it, do it. The culture in Vermont is very different than the culture in Boston or New York, and I'm not saying it's better or worse, but people are really friendly and nice up here. That has had a big influence on me. There's a little bit of Vermont that has stuck with me. I wanted to take a little bit of Vermont, being nice and friendly and sociable, and combine it with my technical skills. That sort of mix has been very helpful for me. I was an electrical engineering major with a biomedical option. I took a ton of electrical engineering courses, math, physics, biology, chemistry. There are technical skills I learned, and I use them all the time. I took computer science classes that were early and raw, but useful. I can speak like an engineer to our engineers. Starting a company early in your life or career is a good thing. At school, you're in a very inspiring environment to start a company. And, pick a really good co-founder, someone who complements you. My co-founder Dharmesh is really technical, and I'm more on the business side, and we're sort of this one plus one equals three. The leading cause of death in startups is co-founder conflict. 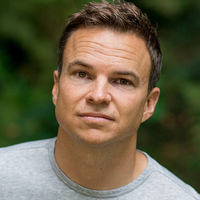 Fritsch’s career with Nike, where he initially worked in the soccer division, is informed by his UVM undergraduate bachelor’s degree in mechanical engineering and his own athletic background. Fritsch grew up skiing in Squaw Valley, California and was a varsity skier for the Catamounts. Looking back, Fritsch says a key influence of his UVM years came via the Mini-Baja team. He and his then girlfriend/now spouse, Sara Kinammon Fritsch ’00, a fellow mechanical engineering major, were founding members of the team for Mini-Baja, a competition in which student engineers design, build, and race cars. Both say the team lessons of that experience and their engineering mindset — a methodical, logical approach to complex problems — has been the bedrock of their careers. Within Nike corporate culture, Fritsch says being a skilled team player and leader is highly valued. Looking back on the NBA uniform redesign, he emphasizes that getting it accomplished was, above all, a function of great teamwork. “When you have to launch everything from scratch and bring everything into the new innovation we created, the sheer amount of work and the number of people we had coordinating on creating over one hundred custom-designed uniforms, that was a gigantic piece of work,” Fritsch says. The way Nick Strayer '15 tells the story, it seems simple. How did he get a post as a data journalist at The New York Times a few months after he graduated from UVM? “They contacted me,” he says. A captivating narrative in three words. But beneath it—like the interactive visualizations, maps, and other stories he has created for the Times and elsewhere—rests a much more complex foundation of “messy data and a lot of hard work,” he says. 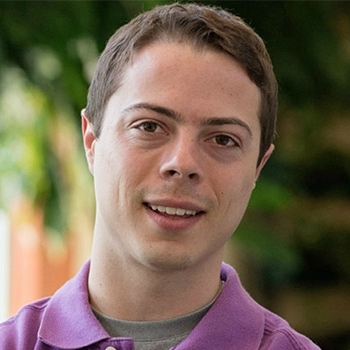 A double-major in mathematics and statistics, with a minor in computer science, Strayer started putting data visualizations on his website when he was an undergrad. “Basically, what I do is make numbers tell a story through pictures,” he says. For example, in the summer after his junior year, he was working for a data visualization start-up company in California and there were a lot of forest fires. “It was fifteen miles each way to work,” he recalls. “ I didn't want to bike if the smoke was really bad. But there were no good tools online to see where wildfires were burning.” So he built one himself. “I went and found some data that NASA had opened up from their satellites that pinpoint temperature anomalies on the surface of the planet.” Strayer’s goal was simply to have a “map on my phone that I could check out and see: hey, should I bike today?” he says. But it was such a good tool that he soon got a call from the Red Cross. They wanted to use it to help with rescue efforts. Nick strayer had a simple goal: Make a wildfire map so he could avoid smoke on his bike commute. But it attracted the attention of the red cross and helped lead him to a story about wildfires that he published in the New York Times. During his senior year, Strayer worked with researchers at UVM’s Gund Institute for Ecological Economics to create a “narrative visualization” of the effects of different policies on global warming. His goal: to help a team of UVM scientists that was heading to the UN climate negotiations in Paris. Afterward, he got a message on Twitter from an editor at the New York Times, who “liked what I was doing,” Strayer says. Soon, he had a summer internship at the newspaper and was cranking out stories and images, including several for The Upshot, the Times' quantitative blog—and a 20-hour workday to build a block-by-block visualization of the terrorist attack in Nice, France. One of Strayer’s stories drew wide national attention and echoed with his own story of going to college—having left a small farm town in Michigan to come to Vermont. “The Great Out-of-State Migration: Where Students Go,” presents a national map showing the number of first-year college students who left their home states to attend a public college in another state. The flowing orange arrows make the story of this in-and-out migration seem, well, simple. But in truth, it was so hard to uncover that it had never been told before. “I had to play with this data for a long time,” Strayer says in an understated Midwestern kind of way. He gathered lists of students from “thousands of public universities, each with its own systems, and all these weird codes,” he says. Soon after his story was published, Strayer received an email from a university researcher, an expert on school migration. “’Where did you get this data?’ he asked me. I’ve been searching for this for my whole career,” Strayer says. The CEMS class of 2016 was treated to a commencement speaker who was in their shoes 35 years prior. Dr. Cynthia Barnhart, chancellor, Massachusetts Institute of Technology (MIT), has earned a long list of accolades and accomplishments since she first ventured out from the halls of UVM. Dr. Barnhart is the first woman to fill the role of Chancellor at MIT. She has turned her attention to issues of sexual assault, the pressures of academic life in the digital age, and the quality of life and learning for MIT students, both in residence halls and in classrooms. Prior to her appointment, she worked at MIT as a professor of civil engineering and founder and director of the MIT Transportation Initiative—a program that involves MIT faculty from across the Institute to address the need for efficient, equitable, environmentally-friendly transportation technology and systems. Dr. Barnhart’s time at UVM gave her the skillset she needed to be prepared for her career, including her first job working as a planning and scheduling engineer on the Metro Rail System in Washington, DC. She cited her ability to work with structures, soil mechanics, statics, and dynamics for her success, but ultimately found that those skills would not propel her toward her ideal career. 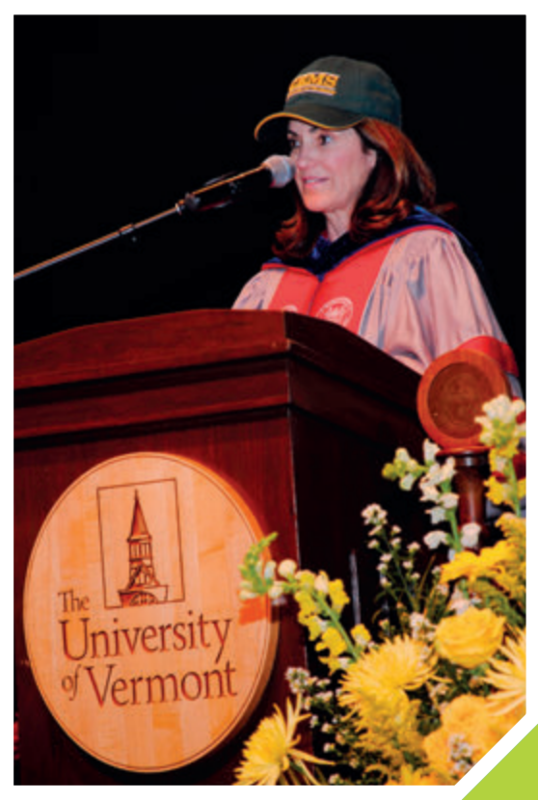 Her advice to graduating seniors was therefore to understand that this stage in their lives offers them an endless number of “unknown possibilities,” She referenced notable UVM grads including John Dewey and Jody Williams, as beacons of hope for the many who do not know what they want to do when they graduate from college. Though she works in Boston, she has never been far from her UVM family. A Vermonter herself, she has a sister, brother, husband, brother-in-law, sister-in-law, and three cousins that have all graduated from UVM. She herself is the daughter of parents who did not get to go to college, with a grandmother who did not get to go to high school. EDUCATION, AND IN PARTICULAR THE UNIVERSITY OF VERMONT, WAS AN OPPORTUNITY THAT MY PARENTS COMMITTED THEIR LIVES TO PROVIDING ME. That commitment paved the way for a daughter who would be appointed to the UVM Board of Trustees. Dr. Barnhart graciously and candidly passed the torch of wisdom to her now-fellow alumni. It is up to them whether they will follow in her footsteps, or blaze a wildly new and innovative path. 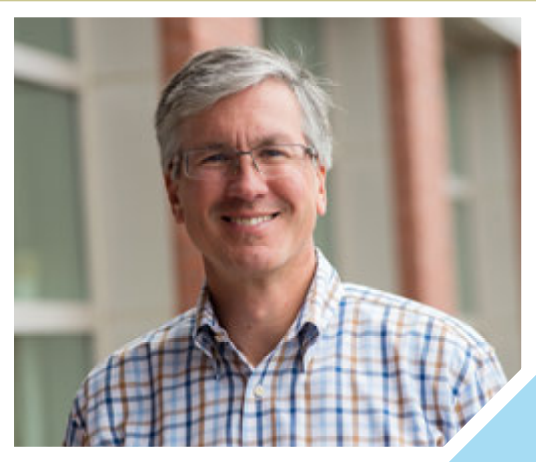 Greg Santoro, class of ’84 is the senior vice president and chief strategy and marketing officer of National Rural Telecommunications Cooperative (NRTC) and serves as the chair for the CEMS Board of Advisors. His work has helped shape the renewed emphasis on STEM at UVM. Mason later had the opportunity to work with a professor on a gravity water system in Honduras. From that point on, she did not look back on her global service mission. She has been to Honduras more than ten times; she serves on the board of Clara Vista, a nonprofit founded by fellow UVM grads; she founded the nonprofit Common Action for Sustainable Development (CASD) in Nepal and the United States. After the devastating 2015 earthquake in Nepal, when Mason “didn’t think [she’d] make it out alive,” CASD built 200 temporary shelters. Almost half a century later, David Hosmer, Ph.D., can recall with detail the kindness and dedication of his mentors at the University of Vermont. 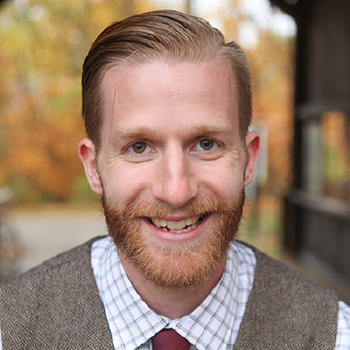 He credits these faculty members – whom he got to know during his six years as an undergraduate and then graduate student studying mathematics - with helping to foster a career that has included co-authoring one of the most well-regarded textbooks in statistics, as well as mentoring hundreds of students of his own. Hosmer arrived at UVM in the fall of 1962 from Syracuse, NY, eager to dive into his studies and the outdoor activities Vermont offered. After entertaining a major in botany, he soon realized that work in the lab wasn’t for him, and shifted his focus to mathematics. It didn’t take long for him to put his budding statistics knowledge to good use. The summer of his junior year, he joined a project led by legendary UVM Professor Hubert “Hub” Vogelmann, Ph.D., who was one of the first researchers to bring national attention to the effect of acid rain on the environment. Hosmer tabulated and summarized the data collected on weekly visits Tom Siccama, Voglemann’s Ph.D. student, made to the top of Camel’s Hump to gather data on spruce growth as part of that research. After graduating with a bachelor’s degree in mathematics in 1966, Hosmer began the master’s program in mathematics. Statistics courses taught by Professors David Sylwester and David Hill combined his interests in mathematics as well as its applications to real data problems. Both were instrumental in encouraging him to pursue a Ph.D. at the University of Washington-Seattle. Years later, that rigorous instruction proved key to his own writing career. At the University of Massachusetts Amherst, where he joined the faculty after receiving his Ph.D., he co-authored what is considered the seminal textbook on logistic regression, first published in 1989 and now in its third edition. With more than 50,000 Google scholar citations to date, it is the most cited reference in the field of statistics. 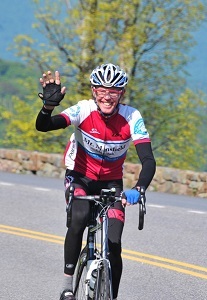 At UMass Amherst, he served on countless thesis committees during his nearly 30 years on the faculty and continues to stay in touch with many of his former students. UVM also introduced Hosmer to his future wife. Although David met Trina in a class on topology during their first year in the master’s program, it was the time they spent cross-country ski racing that brought them together. Trina got her start as a support person for the men’s Nordic ski team—David was the captain—but once she tried the sport herself she was hooked. Her talent has taken her around the world: she was a member of the first U.S. international women’s ski team, competing in two Nordic World Championships in 1970 and 1974, and representing the U.S. in the 1972 Winter Olympics in Sapporo, Japan. In 2015, she was inducted into the Vermont Ski and Snowboard Hall of Fame. The Hosmers retired from UMass Amherst on the same day in 2002: she after nearly three decades as a statistical software consultant for the Office of Information Technology. In addition to the master’s degree she earned from UVM, she holds a second master’s in biostatistics from the University of Washington. Several years after retiring, the Hosmers moved to Stowe. The pair continues to race at the master’s level, and David teaches a course at UVM every other year on logistic regression and survival analysis, continuing the legacy of mentorship his UVM professors left to him. CEMS is always looking for ways to stay connected with our alumni. One of the best ways to ensure you're receiving information from the College and University is to go online and sign up with The UVM Connection: For Alumni, Parents & Friends of UVM. It's very easy to do, and you can rest assured that we will never sell or rent your information to anyone. This group gathers University of Vermont students, alumni, and employers to connect and share information related to careers in Engineering & Technology. Members are encouraged to post discussions, job or internship opportunities, and share and comment on articles that would be of interest to this group. Students may seek career advice from alumni and professional members and learn about career opportunities.